Thanks to Lindsay Barry for providing me with a sample book for review. All thoughts are my own. If you would have told me that I'd be fighting the 'coolness' battle with my eight-year-old son in the second grade, I probably would have chuckled. Little did I know, my second-grader has been itching and trying his hardest to fit in with some of the other kids in his class at school so he could be one of the 'cool boys.' Second grade. I figured we'd deal with this eventually- maybe in middle school, but second grade? Is it just me, or is it way too early in my son's school career to have to worry about this? I shouldn't be so surprised. I was no stranger to wanting to fit in as a child. I honestly didn't even realize that I was different from other kids my age until I moved from New Jersey to North Carolina in the fourth grade. You may consider that fascinating, considering that I came from a melting pot of every culture you could imagine. When I started elementary school in NC, I was made fun of because I spoke differently, had different types of education than my peers, and wore different types of clothes. It wasn't until I was much older that I realized that I was bullied (verbally) for being different. I see similarities with my son. He's smart, driven, and loves to help and loves to be one step ahead. We try our best to give him the same types of opportunities his friends might have, but the truth is- they usually don't come easily, and compared to his buddies, there's a lot that he hasn't experienced or doesn't have. 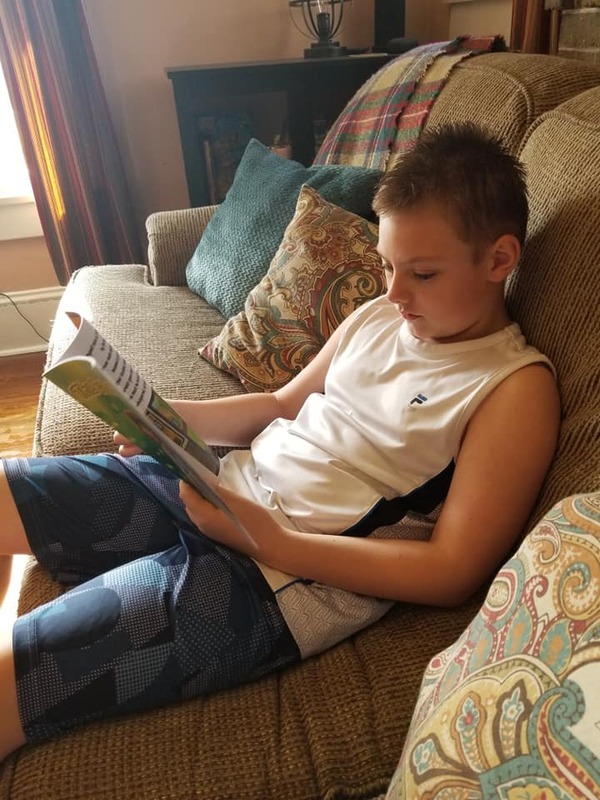 He's clashed with boys in his class who treat him differently because he's academically gifted, or because he doesn't wear what they're wearing. My momma heart hurts when he comes home from school, upset that the other boys wouldn't let him play with them because he 'isn't cool enough.' We've had so many talks about what it means to be cool- being kind, helping others, speaking words of encouragement to those who need it, and of course- just being ourselves. Every conversation seems to be one-sided and fall on deaf ears... but of course, remember what it was like to just want to fit in as a child. 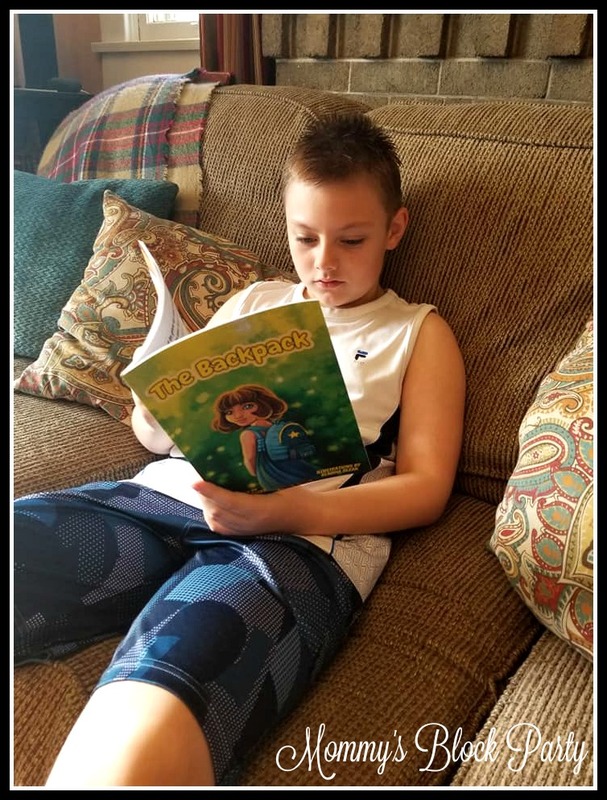 We were recently given the opportunity to read a copy of THE BACKPACK by Lindsay C. Barry, a timely book that teaches kids to stay focused on what really matters in life. Since we've been dealing with the 'cool' issue all school year, I thought this book was incredibly needed in our home and looked forward to reading it with my son. THE BACKPACK tells the story of a young girl, around the same age as my son is now. As she starts a new school year, she longs for the perfect looking backpack- one that has everything she wants and thinks she needs to fit in with the other kids at school. Sound familiar, parents? She quickly finds that it's not the things we have that make us smart or cool. Being kind, working hard, and celebrating our many blessings while staying focused on the positive things in life rather than the negative things is what makes us our beautiful selves- individuals, perfectly created to work and live side by side. This is such a tough concept for kids, and I am seeing them having to deal with this at much younger ages than I ever realized. This book is so encouraging- both for kids and parents. For us, it really helped open the door for honest conversation and communication. I remind my son daily that I am proud of him for who he is, and that he should never feel that he has to conform to fit in with anyone else. It's also a beautiful story of courage, reminding kids to stand up for each other and do the right thing- showing kindness to everyone we meet. THE BACKPACK helps us celebrate our uniqueness, and we're so thankful that Lindsay Barry was inspired to write this beautiful, timely story. B, kicking back and reading THE BACKPACK. Wanting the latest and greatest clothes, toys, and gear isn’t uncommon among kids; they see what their peers have and that sets the standard. Even parents are feeling the pressure to fit in more than ever, weighed down with expectations to provide whatever it is that will make their children appear “cool.” But what message is that really sending our kids? Do we need to look and act like everyone else to be happy? These questions are posed and the answers subtly revealed in the fun, thoughtful, and beautifully crafted new children’s picture book, The Backpack (February 2019) by Lindsay C. Barry. In it, we follow a young girl as she carefully chooses the perfect backpack for school, while her dad reminds her to stay focused on what really matters: what’s inside – and he doesn’t mean pencils and folders! His words come full circle as she meets and stands up for a boy who appears “different,” and a friendship blooms. 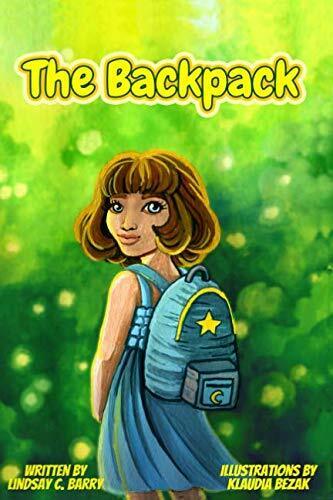 Barry, also the author of Journey to Constellation Station, was inspired to write The Backpack after feeling pressured to buy her son a brand-name backpack as he set off for school. Reflecting on that, she realized she wanted to be sure her kids were receiving the right message and were learning the right lessons: that it’s not what we look like on the outside, but how we treat others that really counts. A portion of book sales will benefit the nonprofit Blessings in a Backpack, which mobilizes communities, individuals, and resources to provide food on the weekends for elementary school children across America who might otherwise go hungry. Lindsay C. Barry developed her love of reading and writing at a young age with help from her mother – an English and creative writing teacher – who ingrained a passion for creating new worlds into Lindsay’s upbringing. Now with two boys, two cats, and a slew of fish, Lindsay considers herself a Momtrepreneur and expert good night story reader. Her sons' love of trains and outer space, and her love of getting them to go to sleep inspired her popular first children's book, Journey to Constellation Station. The Backpack is her second book. 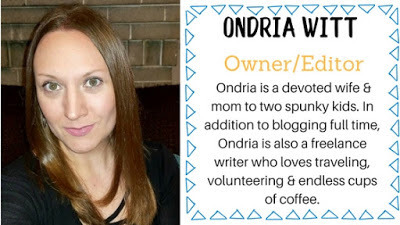 Learn more about Lindsay and her books at www.lbarrybooks.com, and connect with her on Facebook, Twitter, Instagram, LinkedIn, Goodreads, and Pinterest. The Backpack can be purchased as of February 15, 2019 from Amazon.